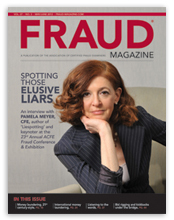 Devoted to timely, insightful articles on white-collar crime and fraud examination techniques, Fraud Magazine is a bimonthly publication that gives readers practical "down-in-the-trenches" information they can apply immediately. 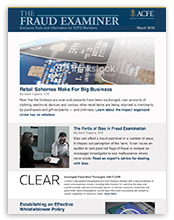 Find out more at Fraud-Magazine.com. 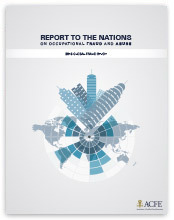 El Reporte a las Naciones sobre el abuso y el fraude ocupacional 2016, provee un análisis de 2,410 casos de fraude ocupacional que ocurrieron en 114 países alrededor del mundo. 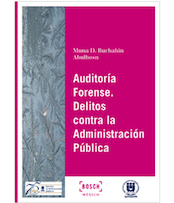 Descárgalo aquí en formato PDF en español. 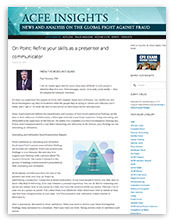 Stay current with recent fraud news and information with FraudInfo, a free biweekly e-newsletter packed with the latest anti-fraud materials, courses and events. Subscribe here. 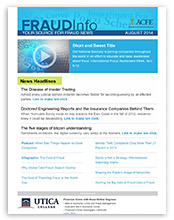 This monthly newsletter gives ACFE members access to exclusive articles and videos. 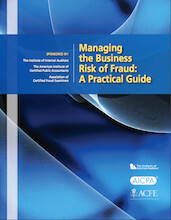 Learn from field experts and CFEs the recent trends and techniques used to take down fraudsters. Also, discover the latest member news and information. 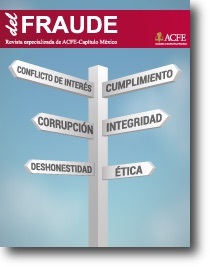 ind news, analysis and commentary on the global fight against fraud on the ACFE’s official blog. 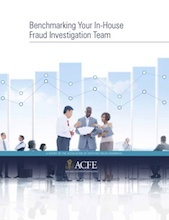 Featuring blogs from ACFE staff, experts in the fields of digital forensics, fraud risk management compliance and more, ACFE Insights gives you a behind-the-scenes look at fraud prevention and detection. 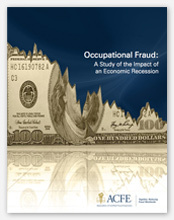 A recent report by Industry Insights finds that CFEs earn 23 percent more than their non-certified colleagues. 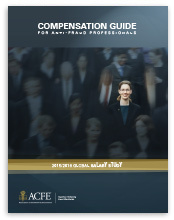 Find out why in the 2015/2016 Compensation Guide for Anti-Fraud Professionals . 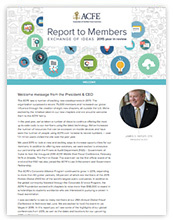 Read about the ACFE's accomplishments in the 2015 Report to Members .